X-hausted by trying to get a handle on your product data entry and management? In our ongoing efforts to provide our customers with soup-to-nuts support, X-Cart can now take one more thing off your very full plate. Our goal is to go far beyond simple data entry service to provide a complete X-Cart product data management solution tailored to your business needs. 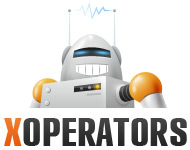 With X-Operators, you can enjoy high-quality, cost-effective product data entry and management backed by the most advanced product management technologies available through the power of X-Cart. Only actual work time is billed. Sample products are done free of charge to your full satisfaction. Unused time automatically expires 6 months from the purchase date.